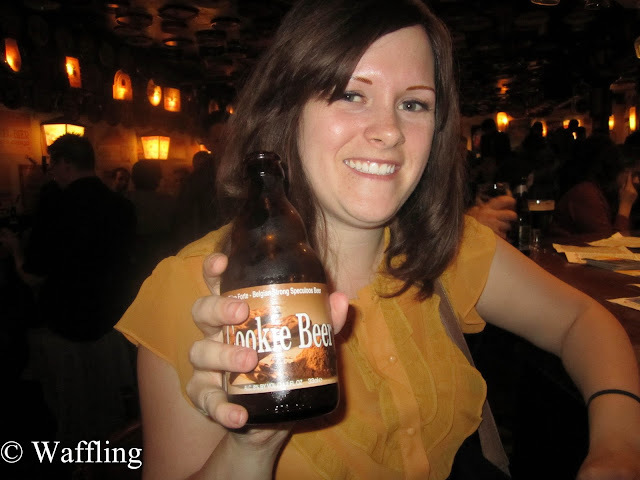 In the fall of 2011 I went on a whirlwind trip to Europe with two of my awesome friends. We went to Oktoberfest in Munich, bought a lifetime supply of cheese in Alkmaar, stayed in the red light district of Amersterdam, walked for hours in Paris, and drank some weird beers in Brussels. But it is the Brussels part I am here to talk about! We were each in charge of a country and planning activities in our respective parts of Europe. Brussels was mine. Everything I read online said we needed to get Moules Frites (mussels and french fries). And waffles. I don't have a picture of me eating the mussels, so here is one of me drinking cookie flavoured beer (it was terrible BTW). 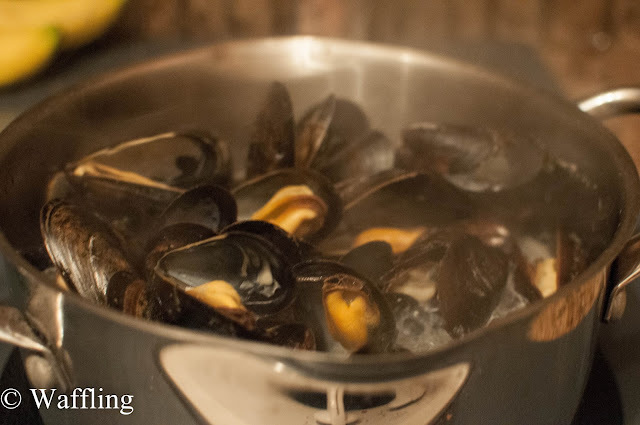 Anyways, I had never had mussels before going on this trip (I was extremely picky up until around age 22 when I realized a lot of foods were delicious and I needed to try them all). 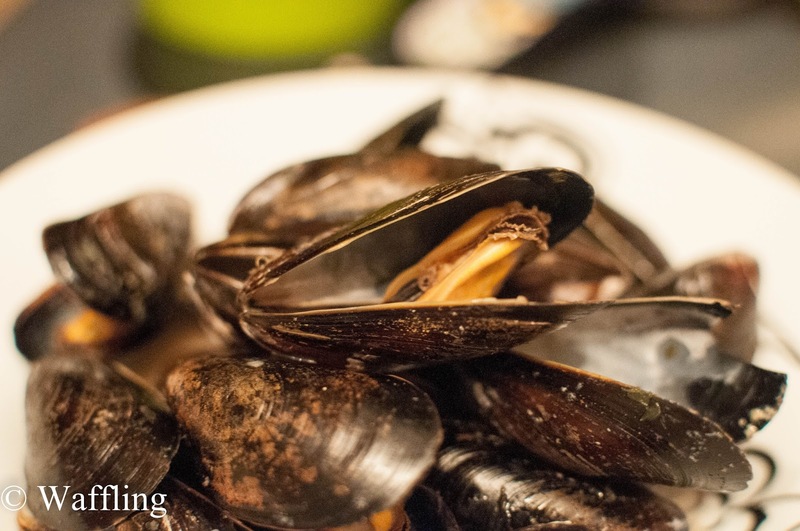 But Mussels in Brussels was on the MUST DO list (along with waffles). I was so excited when we went out to get them one night and they did NOT disappoint. Totally amazing experience. 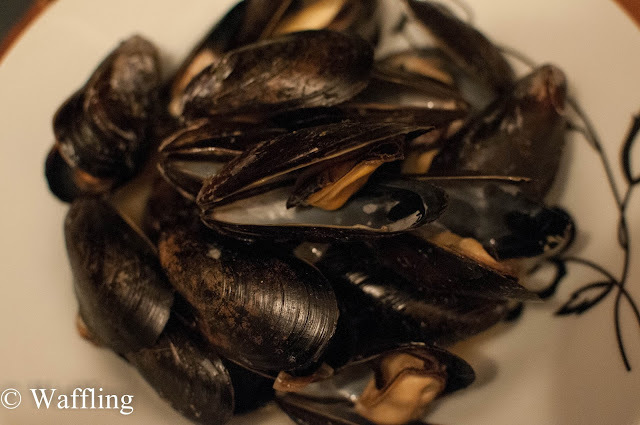 Flash forward to today: I now order mussels quite often when I see them on a menu. I am super fancy like that. Then one day I was on a date and the guy casually mentioned (while we were eating mussels, not randomly), that they were pretty cheap and easy to make at home. I wanted to go home and buy all the mussels. But I held off because I was afraid of screwing it up. I have never cooked anything like that and they are all alive and stuff. I chickened out for months. But this week I said no more! I was going to give it the ol' college try. I googled recipes and it seemed easy enough. Just make sure they are alive, pull off their beards (wut? ), and steam em up! So I bought them ($5.99 for the bag FYI). And I made them. And guess what- they are super easy. First off, I took my bag and gave it a thorough rinsing. 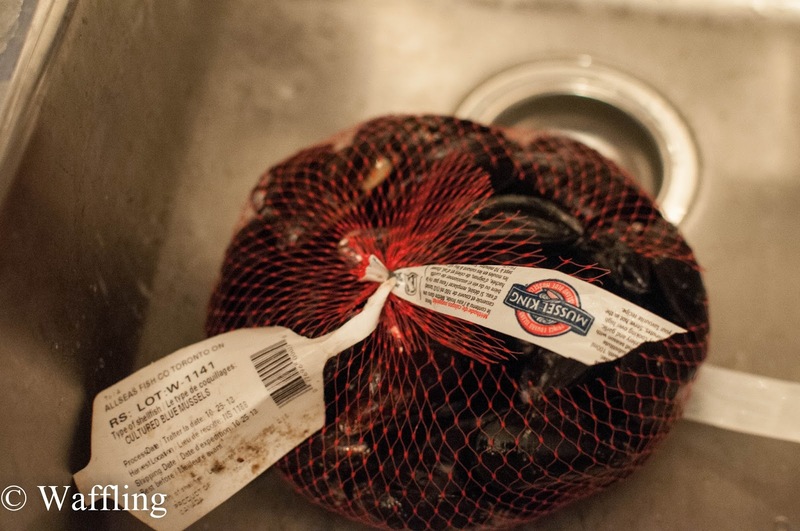 However these PEI mussels are farm raised, they aren't as dirty as naturally caught ones. Oh, I also am glad I made them right away because I read online you should cook them within a day of buying. Once rinsed, I sorted out the live from the dead. I was worried all mine would be dead, but I only had about 7-8 from the bag! It is really easy to tell- if they are tightly shut they are alive, if they are open or broken they may be dead. I tapped the open ones a bit and let them sit for a bit. If they didn't close I put them in the dead pile! Some of my tightly shut ones opened a bit, but if they are opening then they are clearly alive so I just waved "hi" to them and wished them well in their bath. Also, none of mine seemed to have these so called "beards" you are supposed to remove? So I didn't do that part. I cut up 2 shallots and cooked them a little to soften them up. You are supposed to use garlic too, but my garlic had gone bad (oops) so I skipped it. I then put the cooked shallots, 1/2 cup of chardonnay (I happened to have that on hand), and some parsley in a pot and boiled it for a few minutes. 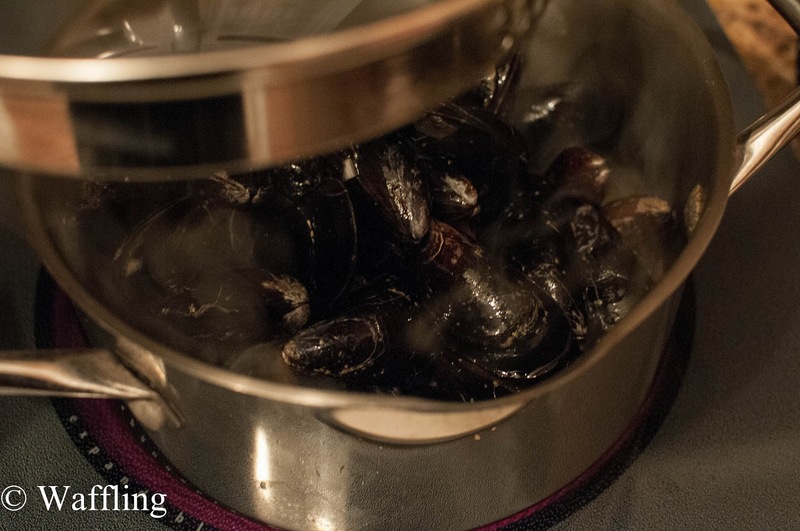 Then I added my mussels, turned the burner to high, and put a tight lid on. I let them cook for about 6 minutes and stirred them up once. Internet told me to just wait until they were opened and that is what I did! If any don't open they are dead. Don't eat em. I only had 1 dud out of the bunch! Just spoon into a bowl with some broth and enjoy! I wish I had had some crusty bread on hand to eat them with (or frites! ), but I don't often buy bread and I hadn't made any in ages so I was breadless. Oh well! And yes, I ate the whole pot. I am fairly certain you can't reheat these. Plus they are so delicious you WILL want two big heaping bowls. Oh, and for the record, I need to clear something up because I was apparently wrong. I am allergic to crayfish, not shellfish. I can eat mussels!! Have you ever tried cooking or baking something way beyond your usual foods? How did it turn out? WHAT. 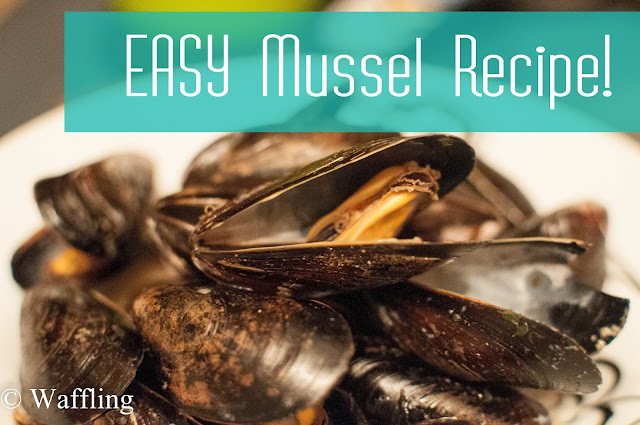 I love mussels, and I have never thought once about making them at home! I also did not know you are not supposed to eat the dead ones...I have definitely pried open a closed shell before only because I wanted more mussel goodness. I think you have inspired a dinner for next week. Where did you get these mussels, just somewhere like Superstore, or an ethnic grocery store? Also, super impressed you ate mussels on a date. But then, I may be the messiest mussel eater in all the land. I got them at Loblaws! at the fish counter! mm this one was simple and good! I dont mind buying bread (well, except for when I eat the entire baguette), but I just forgot to pick some up since it isnt on my usual shopping list! they were SO easy! ppl need to know about this!!! I love how honest you are. I'm the same way. 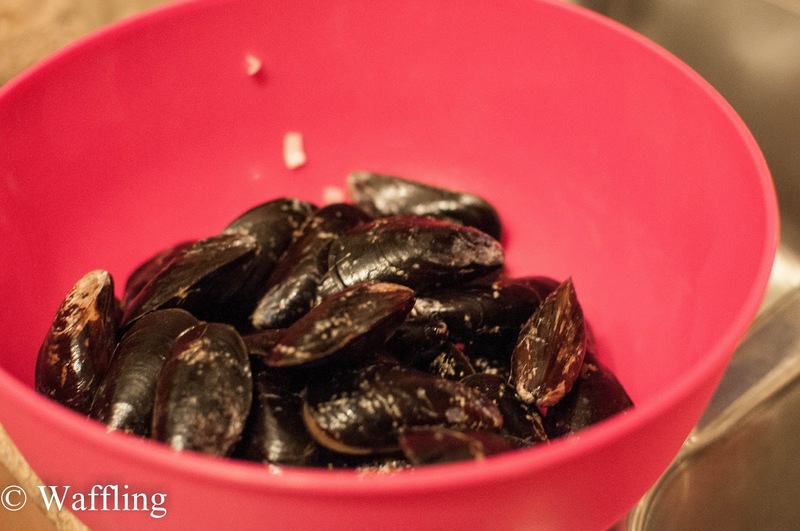 Too afraid to make mussels at home because I'm afraid of screwing it up. I'm glad you tried it though and it turned out well! Where did you buy your mussels from? I might have to copy you! I made falafel tonight! No idea how they will taste... but they look good! !